Cosmetic dentistry, sometimes known as esthetic dentistry, is the art and science of improving the appearance and function of your teeth and smile. 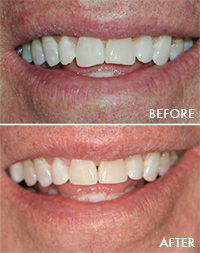 This may be a simple edge manicure, bleaching, correction of one or more flawed teeth with porcelain crowns or veneers, replacement of missing teeth, or full restoration of one or both arches. 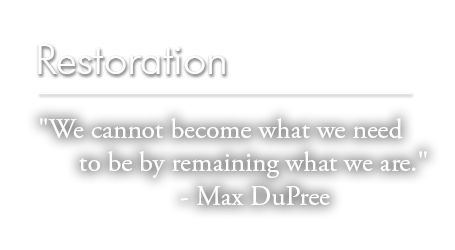 Our philosophy is to always do the most conservative approach that will give you the results you desire. There are many modern, cosmetic, all porcelain material choices that are dramatic improvements over the past false look and black lines at the gumline caused by older crowns and fillings. Another term we use is Bio-esthetic Dentistry, which takes into account all components involved in the smile, not just teeth. In addition to teeth, the appearance and contour of the gums, lip position and length, smile position, skin color and complexion, age, phonetics (speech), and proper function are some of the things considered. All of these components should blend seamlessly and harmoniously. Below you will find several of the options that can give your smile and appearance dramatic results. 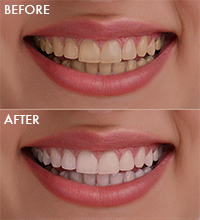 In-office bleaching – Using this method, you schedule an appointment to have the entire bleaching process completed in-office. A powerful bleaching gel is applied to your teeth under specific conditions while your relax. Results can be expected in as few as one to two quick and easy appointments. 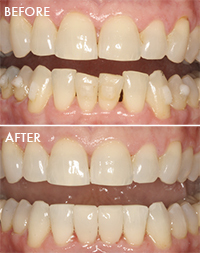 This procedure is utilized in cases when your teeth are in a desirable position, but the edges are chipped and uneven. Re-contouring is a quick and painless procedure to smooth any rough, chipped or uneven teeth. In a matter of minutes, years of chipping and wear can be erased. 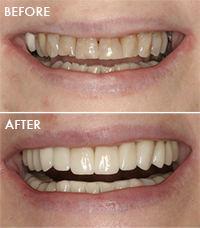 This procedure, in combination with bleaching can be a very simple, inexpensive way to achieve dramatic results. Bonding is a quick and simple method of adding a custom-matched shade of resin composite to fill in small chips or gaps that may be present in your front teeth. In some cases, this conservative procedure can be used instead of porcelain veneers to improve the appearance of your smile. 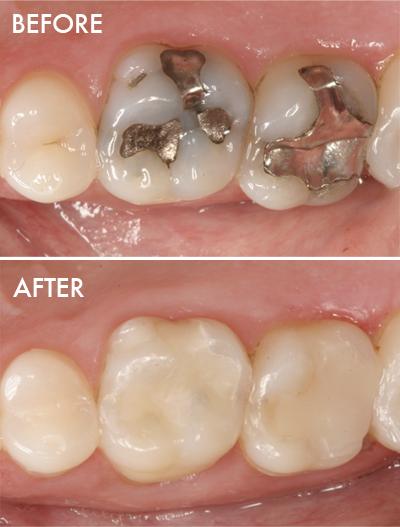 In addition to the potential toxicity concerns of mercury fillings, their dark grey appearance can lead to unsightly results if used in the teeth that can be seen when you smile and talk. Using strict and safe protocols, these mercury fillings can be removed and replaced with custom matched, tooth colored resin composite fillings. This will give your teeth and smile a more natural appearance and feel. A porcelain veneer is a very thin (the thickness of a credit card) porcelain covering that replaces the enamel on the front of a tooth. 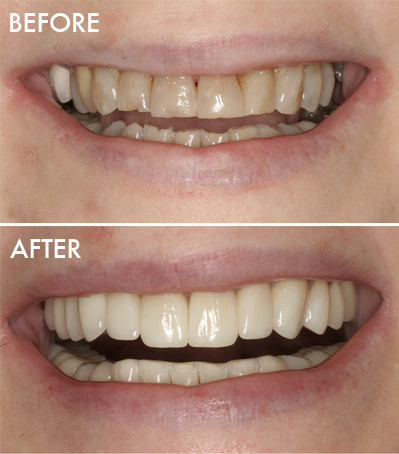 In most cases, very little enamel is removed and is replaced with high-strength porcelain. 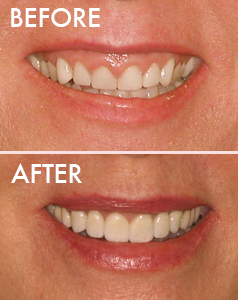 The results can be life changing, instantly repairing deeply stained, discolored, chipped and misshapen teeth. If teeth are rotated, overlapping, or large gaps are present, orthodontics can re-position teeth into a more esthetic and properly functioning position. Malpositioned teeth may also lead to long term conditions such as wear, hygiene problems, muscle and jaw joint pain, as well as an undesirable look. 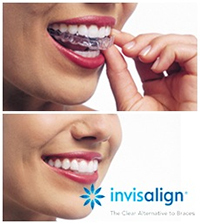 Orthodontics can vary from using a simple removable retainer, conventional or clear brackets (known as braces), or Invisalign, a series of invisible clear trays used to reposition teeth without the use of brackets. 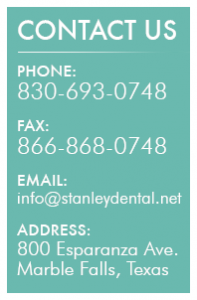 We are very discerning in which dental laboratories we choose to handle our aesthetic cases. Not all labs can produce the same ideal results, so we ensure that our labs meet or exceed our expectations. We are also in very close contact with our labs, sharing vital information and detailed photographs to give us the most predictable and stunning results.